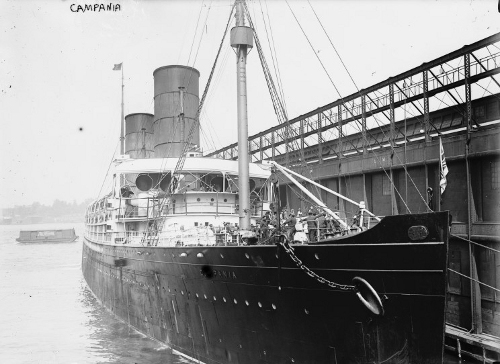 A photo of the RMS Campania at a New York pier having come from Liverpool. When she was launched in 1892 she was the world's largest, fastest ocean liner, though compared to the Lusitania and Titanic that were only a decade or two away, she looks tiny! Check out the people on deck in their bowler hats and coats! I love old photos like this; Wikipedia has all of a sudden become far more fascinating and deeply time wasting. I wish I could see some of her interior decor, apparently she was done out in true Victorian era style. Older post → #Anime Is it green yet! ?